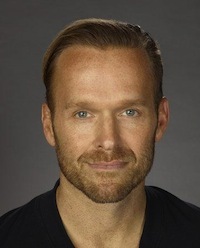 The Skinny Rules is written by Bob Harper, a celebrity personal trainer on the television program “The Biggest Loser”. Harper presents a list of twenty simple rules to help eliminate your confusion about the best way to lose weight. The Skinny Rules is divided into three parts. 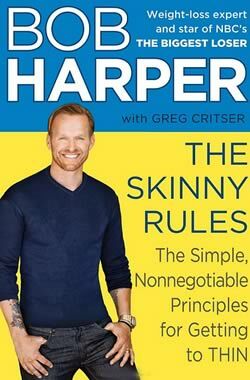 Harper presents his ‘Skinny Rules’, which are twenty principles to guide your lifestyle choices for optimal weight loss. Most of the rules are very straight-forward like the following five. Eliminate fast food and fried foods. Don’t eat carbs after lunch. Consume apples and berries every day. Protein is satisfying and reduces your hunger. Apples and berries contain phytochemicals, which improve metabolism and have a powerful anti-inflammatory effect. Skinny Rules Includes a 30 Day Meal Plan, Recipes and Bonus Tips! Here is where a thirty-day meal plan is outlined that follows all of the “skinny rules”. Upon completion of the first thirty days you will have lost weight and gained confidence in your ability to eat according to the rules. This section includes Bob Harpers best tools to help people be successful. Bonus tips to help you lose weight. Advice is provided on what foods to buy. What to prepare every weekend so you are always ready for busy days. Chicken breast, turkey, fish, eggs, black beans, garbanzo beans, Ezekiel bread, oatmeal, quinoa, nonfat Greek yogurt, nonfat ricotta cheese, almond butter, pistachios, apple, berries, banana, broccoli, cauliflower, peppers, cucumber, tomato, lettuce, asparagus, green beans, avocado, olive oil. Harper asserts that exercise alone is not enough and eating a healthy, low-calorie diet is the most reliable way to lose weight. Exercise recommendations are not provided in this book. Bob’s other book, Are You Ready!, contains 3 weeks worth of exercise plans. The Skinny Rules: The Simple, Nonnegotiable Principles for Getting to Thin retails at $26. The diet focuses on the consumption of a variety of fresh and unprocessed foods. Small, frequent, high protein meals keep you satisfied and helps to control your appetite. Encourages a high intake of fiber, which reduces hunger and improves blood cholesterol. Author has a proven track record of success helping people lose weight. Includes a thirty-day meal plan and recipes with separate menus for men and women. Allowing a splurge meal each week can make it easier to stick with a restricted diet over the long term. Necessary to avoid all carbohydrates after lunch. Requires a fair amount of time for planning and food preparation. Recommends a high intake of fish, which can contain high levels of mercury. Splurge meal guidelines are not specific, which may lead some dieters to consume an excess of calories. Diet may be too low in calories for active individuals. Does not include adequate recommendations for exercise. The Skinny Rules details a series of guidelines that will help you adopt a healthier way of eating. By following Bob Harper’s rules and meal plan you will gain the knowledge and skills necessary to achieve your weight loss goals.